Live Music by accidental guitarist Sean Derrick Cooper-Marquardt and Elle Peril poetry & performance. 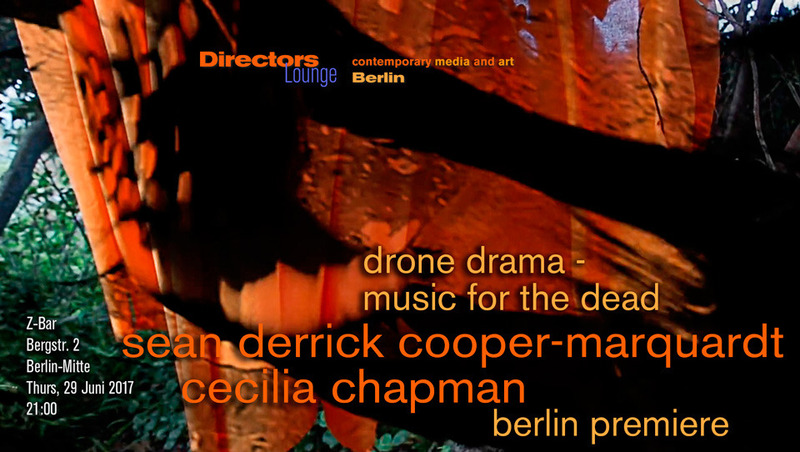 Drone Drama – Music for the Dead is a collaborative project of Sean Derrick Cooper-Marquardt and Cecilia Chapman. 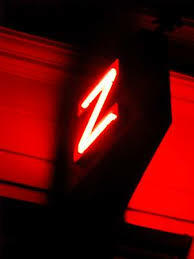 The project will be presented by Cooper-Marquardt as Berlin Premiere at Z-Bar together with live music and with a reading of texts that were inspired by episodes of the film. Cooper-Marquardt, originally from Chicago and living in Berlin for 34 years, is an artist who mainly works with music but who has been engaged in many projects, collaborations and festivals. It may be the influence of his earlier times of playing free jazz and early house music in Chicago that makes him seek many collaborations. He also likes to play with different versions of the same piece, created by himself or by collaborations. His preference for this kind of iterations, may be more related to the influences of fine arts in Germany than from music: Sean Derrick Cooper-Marquardt just released a record by the same title, Drone Drama – Music for the Dead, including the same chapters as the film, however with completely new compositions and adding two more chapters. He also asked writers, to contribute short stories to the project Drone Drama – Music for the Dead, some of which will be read while Sean will improvise music during the reading. The film Drone Drama – Music for the Dead consists of 11 chapters. Each chapter has a rather poetic title, like “I Love Watching the Movement of your Limbs when they Tremble from the Wind’s Gentle Caress (chapter 1)” or, “When Eating the Fruit, Remember the one who Planted the Tree (chapter 9)”. And, it is rather exceptional to see films, which are based on music, where music is the inspiration for the images. The film starts with a section of a woman in an orange dress lying on a branch of a massive tree on the edge of a valley. The images are clearly metaphorical, but the recording is a very clear high-definition image. The orange color of the dress will reappear periodically in the film. The music is dominated by a drone sound, a hum from electronic or radio noise and some reverberated music. This is intercepted with some tonal electronic sounds. Everything appears to be soft and dreamlike. Chapter 2 starts with the orange colored dress as background and the title “Things that never die have never lived.” In opposite to the first chapter, the filmmaker now uses blurred and electronically distorted images, clouds in pink, patterns, a hairline cross view of a sky with a jet fighter passing, sparks of an explosion, color streaks in water and fume rising up in the sky. The sound on the other hand is quite similar, only not as smooth. The differences between two chapters introduces the viewer into the variety of images created by Cecilia, and into the more subtle nuanced changes of the music by Sean. It also introduces the associative relation between title and content of the story in the film. The reading of texts about Drone Drama together with the music, and finally the films of Sean and Cecilia will create a very inspiring evening, which can be interpreted in many different ways, poetic and political, metaphorical and associative. And of course, it will be great to see the different collaborative pieces of Drone Drama come together in one evening.